The Paprika Ball Silver Anniversary will be held on Saturday, March 7th, 2015 in Cleveland, OH. 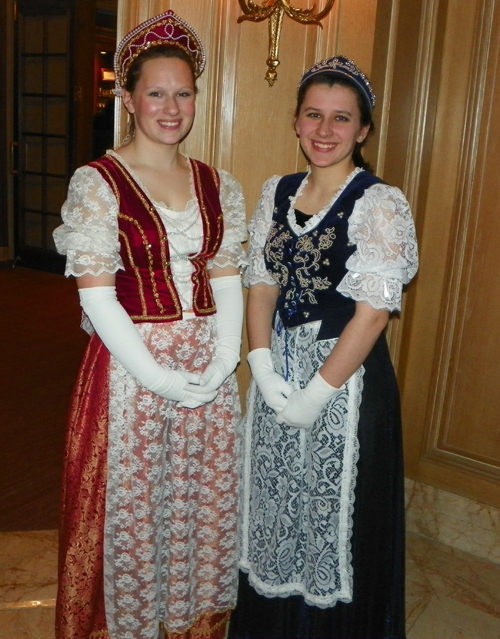 The Paprika Ball is an annual benefit sponsored by the Cleveland Hungarian Development Panel. The 25th Anniversary Paprika Ball will be held in the historic Silver Grille, owned and operated by The Ritz Carlton, and is located on the 10th floor of the Higbee Building at Tower City Center in downtown Cleveland. The event includes cocktails, dinner, a silent auction, and dancing to the music of Harmonia. The event will start at 6 p.m. and end at 12 a.m. The Cleveland Hungarian Development Panel (CHDP) is a non-profit organization of dedicated volunteers who recognize the need to promote and support educational and cultural ties between Americans and Hungarians. The mission of the CHDP is to provide assistance and the exchange of ideas for Hungarian projects in the areas of commerce, education, health and human services. Funds for the work of the CHDP are based primarily on the annual Paprika Ball and private donations. Ticket Prices: $200 ($100 tax-deductible), $350 ($250 tax deductible) and $500 ($400 tax deductible). Also tables of eight starting at $2,500 ($1,700 tax deductible). Guests must be registered by February 27th. Please call (216) 571-4686 or visit www.clevelandhdp.org for more information! Is your ethnic organization having a fundraiser that you would like SCOLA to promote? E-mail LSmith@scola.org today!